1. 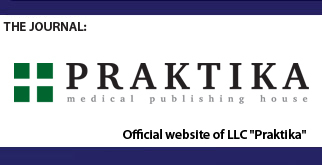 All scientific articles submitted to the Editorial Board of the Prakticheskaya Meditsina (Practical Medicine) Journal are subject to mandatory reviewing and expert evaluation. 2. Formatting of a manuscript is checked, then it is directed for reviewing by an expert – a Doctor of Medical Sciences who specializes in the field of the reviewed article (as a rule – a member of the Editorial Board and/or Editorial Council of the Journal). All reviewers are recognized specialists in the field of the materials under review and have publications in the in the field of the reviewed article during the recent 3 years. 3. 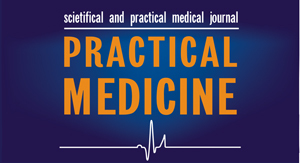 The decision about choosing a reviewer for examination article takes the chief editor. 4. 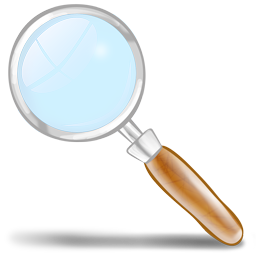 Dates of reviewing are determined by the chief editor with the creation of conditions for the most rapid publication of the article. 5. Reviewers are notified that the sent manuscripts are the private property of the authors and relate to information not subject to disclosure. Reviewers are not allowed to make copies of articles for their needs. 6. The review highlights that the content of an article complies with with the title, whether the article corresponds to the modern achievements of science and theoretical knowledge, is assessed the language, style and arrangement of the material, visibility and the usefulness of tables, charts, figures and formulas, the upsides and drawbacks of an article, which corrections and additions to be made by the author. Conclusion of the reviewer: recommended, recommended taking into account the correction of deficiencies noted by reviewer, or is not recommended for publication in the magazine. 7. Reviewing is confidential. The author of the work under review is given the opportunity to read the text of the review*. 8. If the review has the direction for the need of its correction, then it is sent to the author for revision with the text of a review with a proposal to take into account when preparing the new version of the article or to give a reasoned (in part or in whole) refuting. The completed (modified) by the author article is resent for the review. 9. The article, not recommended by the reviewer for publication, is not accepted for reconsideration. Text of the negative review is sent to the author by e-mail, fax or regular mail. 10. The decision of reasonability of the publication after reviewing is made by the editor, and if necessary – by the Editorial Board in whole. 11. After the chief editor makes the decision on the admission of an article for publication, the author is informed of this fact and is given the date of publication. 12. Reviews are stored in the editorial for 5 years. At the request of the authors, they may be sent copies of the reviews. 13. Editorial send copies of reviews upon request from the Ministry of Education and Science of the Russian Federation.